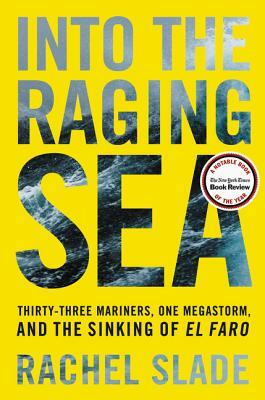 Relying on hundreds of exclusive interviews with family members and maritime experts, as well as the words of the crew members themselves—whose conversations were captured by the ship’s data recorder—journalist Rachel Slade unravels the mystery of the sinking of El Faro. As she recounts the final twenty-four hours onboard, Slade vividly depicts the officers’ anguish and fear as they struggled to carry out Captain Michael Davidson’s increasingly bizarre commands, which, they knew, would steer them straight into the eye of the storm. Taking a hard look at America's aging merchant marine fleet, Slade also reveals the truth about modern shipping—a cut-throat industry plagued by razor-thin profits and ever more violent hurricanes fueled by global warming. Rachel Slade is a Boston-based journalist, writer, and editor. She was a staff writer at Boston magazine for ten years, and her writing earned her a City and Regional Magazine Award in civic journalism. She splits her time between Brookline, Massachusetts, and Rockport, Maine.